People choose to run for all kinds of reasons. Some enjoy being physically active, some are looking to lose weight and stay fit, and others may be running competitively in a sport or marathon. Whatever your reasons for running might be, you should take the time to form a running strategy to get the most out of your exercise with the least risk for pain or injury. New runners may not know their limits or how to tell the difference between normal strain or a more serious injury or type of pain. At Advent Physical Therapy, we want everyone to stay fit and healthy, so that’s why we put together this list of tips for new runners to help you remain active and avoid getting hurt. Get the right shoes — This is one of the most important steps you can take in becoming a regular runner. Many new runners make the mistake of going to a generic store and buying a pair of tennis shoes that fit. However, these generic shoes may not compensate for your individual needs. You need shoes that match your stride, the way your foot strikes the ground and the way your foot rolls afterward. Visit a store that specializes in running stores or a physical therapist for recommendations on footwear. Go for distance — When you first start running, your objective should be to cover a certain distance. Do not worry about time. You can time your runs later when you are more adapted to the exercise and want to push yourself harder. Create a routine — Make a plan for your runs. How many days a week will you run? What time? Try mixing up your running strategy too. For example, you can run for one minute and walk for two if it’s too exhausting to dive straight into running for an extended period of time. Run with friends — It’s a lot easier to stay motivated to run if you have others doing it with you. Run with your friends or family members or join a local group that meets for regular runs. Warm up — Warming up helps keep your muscles flexible and prepared for physical activity. 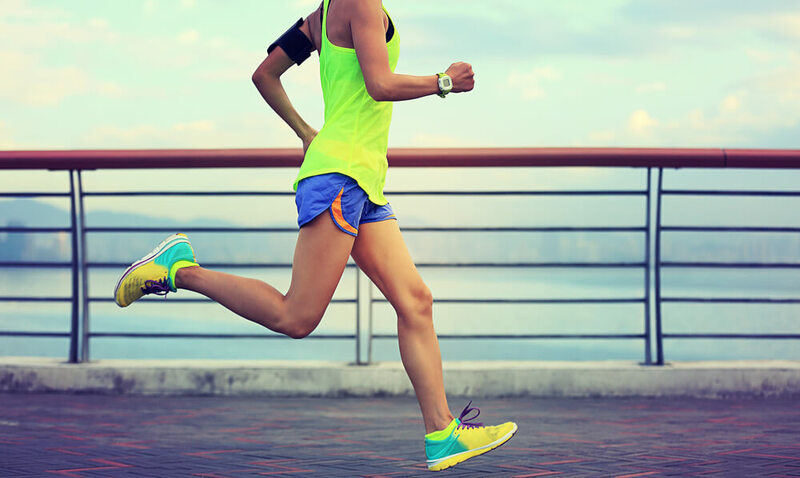 Before running, you should stretch your legs and walk for a few minutes. Stay Hydrated — Drink 20 ounces of water a couple of hours before you run. Staying hydrated before your run and after can help fuel your body for performance. It’s also important to consume foods with complex carbs and protein before running to give your body a boost for performance. Are you a new runner who would like some help getting started? Are you a seasoned runner who would like to improve your technique? Contact us today to schedule an appointment for running training guided by our licensed physical therapists who know what your body needs to perform at its best.